The North Coast Builders Exchange offers its members access to a state-of-the-art sophisticated new Plan Room through our partnership with Golden State Plan Service. Golden State Plan Service provided our members with a newly updated platform called Online Plan Service. 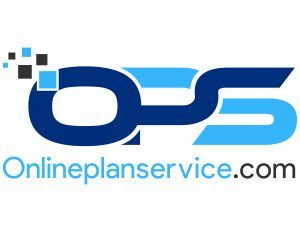 The Online Plan Service platform is an easy to use tool that allows users to access real-time information and construction documents on any platform; PC, Mac, Tablet, or Smart Phone. The OPS platform allows users to view, print, download and take-off plans and specs. It includes a ‘Google Like’ word search and interactive mapping. Users can set up saved searches that define their trade or material within a geographical area they define. Additionally, they can choose to receive a nightly email of new jobs received that meet their saved search criteria. The cost to NCBE members is only $288 annual(paid in advance) every year and it is a members-only service. THERE IS NO CHARGE OR COST to Public Agencies, Private Project Owners, Architects, Engineers, and General Contractors to place their project plans in the NCBE plan room. Project plans placed in the NCBE Plan Room help ensure owners that their project will receive the maximum exposure possible, resulting in the lowest possible bids from responsible contractors and suppliers.